Packaging – 9.5/10 I love the design of the box; it’s simple and elegant, certainly living up to the ‘Glossybox’ name. Inside, it’s like opening a present, and you even get a message from the Editorial Director herself – Evie Leatham. Price – I think that £10 (+p&p) per month, for products that would otherwise cost upwards of £30-£40, is very reasonable and affordable for most people. I’ve never actually used a sheet mask before (I know, where have I been all my life?) so I was very excited about this product. First of all, it smells lovely – it reminds me of the Chance perfumes by Chanel. 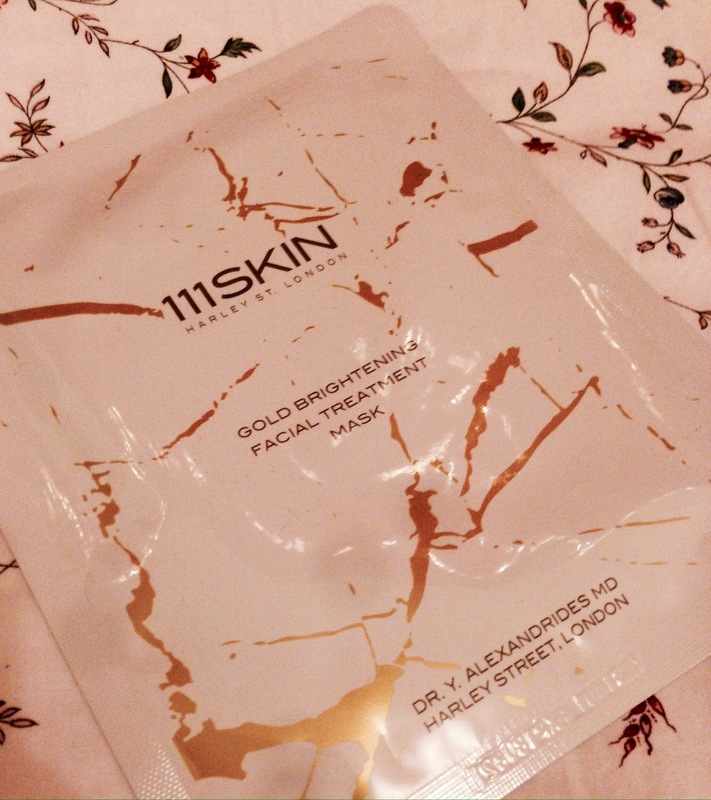 The mask definitely left my skin looking brighter and feeling smoother. I’d give the mask an 8/10. These really do smell like raspberries. Why you would want a razor that smells like raspberries, I don’t know, but I’m not complaining about it. 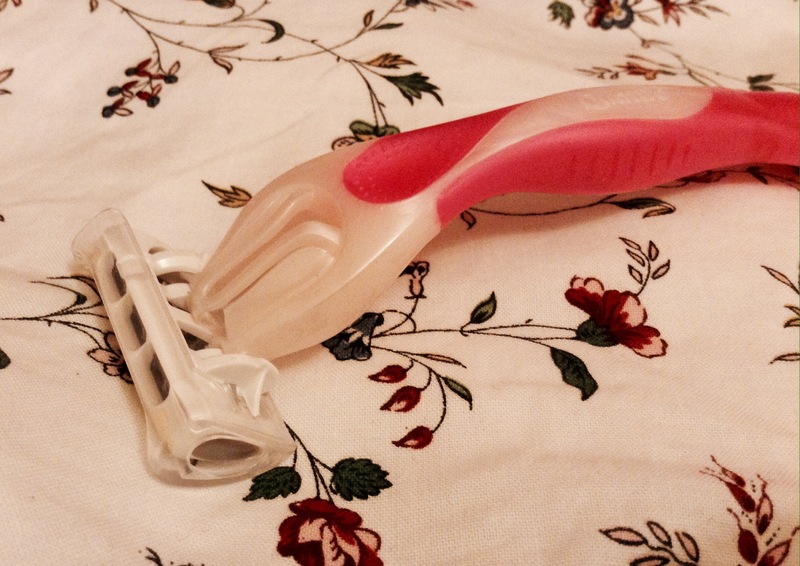 These get a 9/10 (because they’re good razors, not because of the scented handles, I swear). 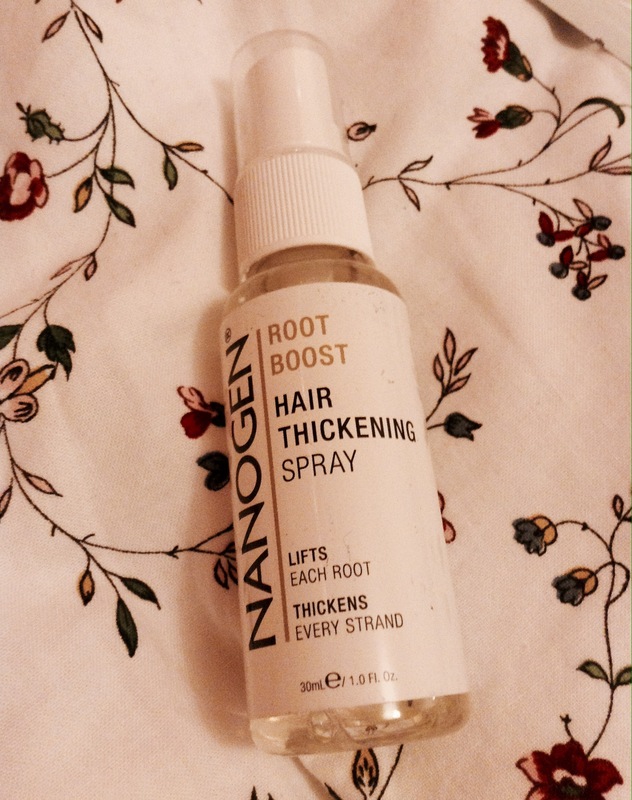 My hair is fine but thick, meaning it’s more voluminous at the ends than it is at the roots (not cool) so this lil’ spray is perfect for my hair type. As it can be used on wet or dry hair, you can take it with you to boost your roots during the day. I might even buy this product again, so it gets a generous 9.5/10. This is described as a ‘khaki-grey’, having tried it, I’d say it’s more of a bronzey-gold. Nevertheless, it’s gorgeous and perfect for Autumn/Winter makeup looks. This is probably my favourite product from this month’s box, it gets 9.5/10. 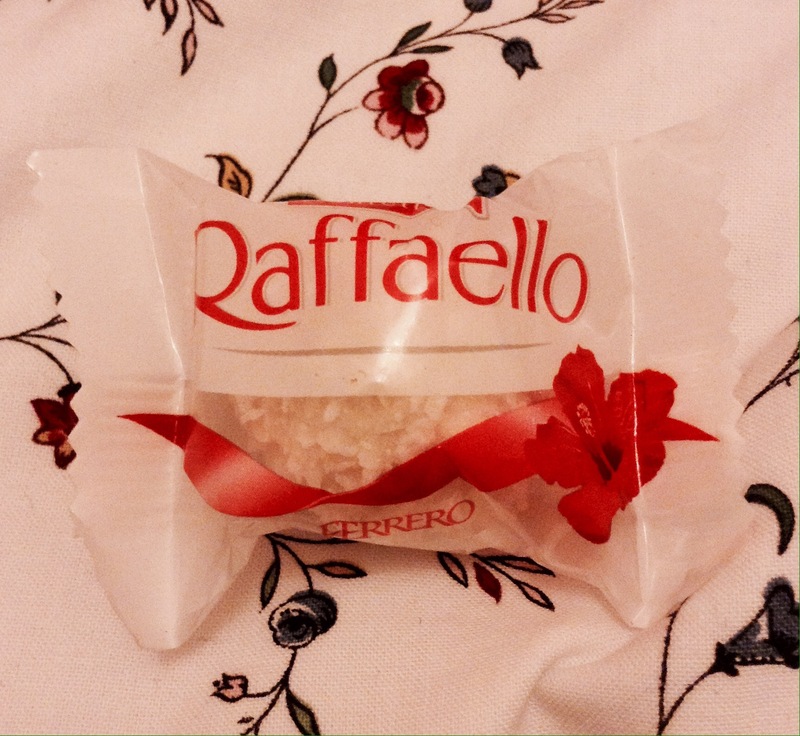 And a yummy extra from Raffaello. Sadly, I did not get to try this one myself. My Dad did confirm, however, that this was ‘delicious’. 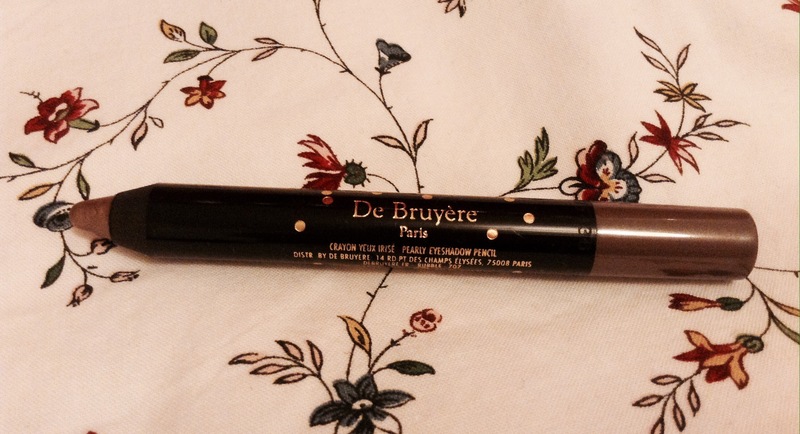 Overall – I wasn’t blown away by my first ever beauty box, but I was definitely satisfied! For such a low price, I think the products are generous and the packaging is impressive. I’m looking forward to next month’s box! 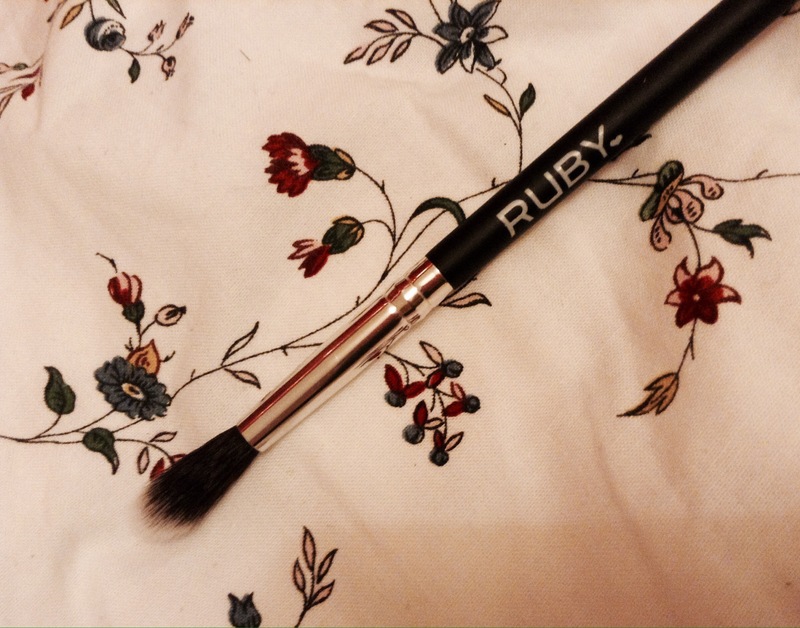 What’s your favourite beauty box? What do you think of this month’s products? Ohhh I have been debating on subscribing to glossy box for the past 2 months!! Are you going to go for it?😋 you might as well treat yourself for Christmas haha! I used to get Birchbox and Ipsy boxes when I lived in the states, so I hope Glossybox ships to Italy? I will have to check them out. There is really so many boxes to choose from because many companies seem to be doing that nowadays but I love the idea of it!